Welcome to the inaugural edition of Africa Focus. As a continent, Africa is projected by the IMF to be the world's second-fastest growing region from 2017 to 2020. In 2016, the McKinsey Global Institute forecast that business spending in Africa is expected to grow from US$2.6 trillion to US$3.5 trillion by 2025. Our intent with this publication is to contribute in a meaningful way to the debate on how to ignite economic development in Africa and to help fund the projected growth. In this edition, we focus particularly on funding Africa's infrastructure deficit. In "Bridging the gap", we explore the range of funding sources used to finance infrastructure in Africa and some new options that are emerging. "Private equity in Africa: Emerging trends" looks at the increasing interest being shown by private equity houses in African infrastructure projects. "Anticipated trends in project finance" examines the implications for project finance in South Africa particularly following the debt rating downgrade from investment to speculative. "Arbitration in Africa: Managing risk in a growing market" explores arbitration as a mechanism for resolving disputes. "Project bonds in the OHADA region" describes how project bonds, which are commonly used to finance infrastructure in other parts of the world, have significant potential in Africa. It examines the conditions that would need to exist in the OHADA countries specifically for project bonds to be viable in those markets. Finally, "Sub-Saharan African power projects" examines the challenges involved in state support for project finance, especially in the light of IMF requirements. We hope that you find Africa Focus interesting and that it challenges your thinking in a positive and constructive way. Bridging the infrastructure gap is crucial to Africa achieving its objectives for sustainable economic growth and the well-being of its people. We welcome any feedback you may have on this publication. A range of funding options is available for African infrastructure. Here are some examples, trends, advantages and challenges associated with each. 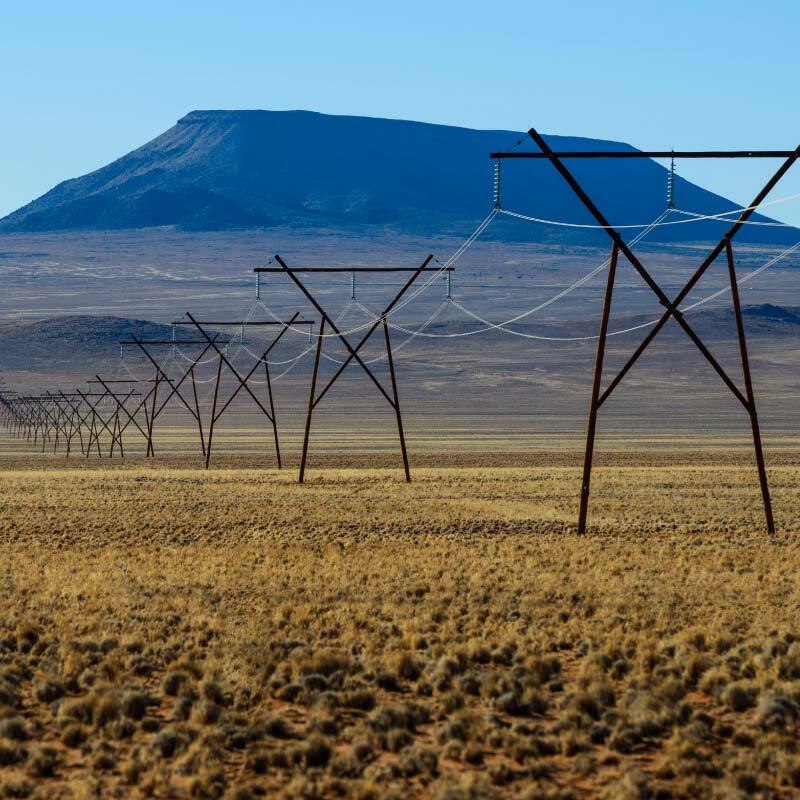 In October 2014, the Africa Development Bank noted that Africa's 'primary task' was to find ways to plug the annual infrastructure funding deficit. It is nearly a decade since they estimated the financing requirement to close the deficit amounts would be US$93 billion annually until 2020. Finding sources of funding to make up these estimated amounts is clearly key. While investment in African infrastructure projects has been significant, it has been nowhere near the amounts detailed above. Sources of funding have evolved following the global financial crisis, and commodity price fluctuations have impacted the ability of many African nations to fund their infrastructure development out of national sources. Private sector financing forms a large part of the answer in closing the funding gap in the form of private equity, debt and the relatively untapped resources of pension funds and capital markets. It now accounts for less than 50 per cent of external funding of African infrastructure products, and a wider range of instruments is being used than before. More sophisticated forms of finance that were previously restricted to developed economies are being deployed in many emerging markets, and Africa is no exception. In absolute and global terms, the amounts being invested may be relatively modest. In terms of the impacts that the investments are having on the target economies, though, they are anything but. Within Africa, the number and type of projects vary by country, region and sector. 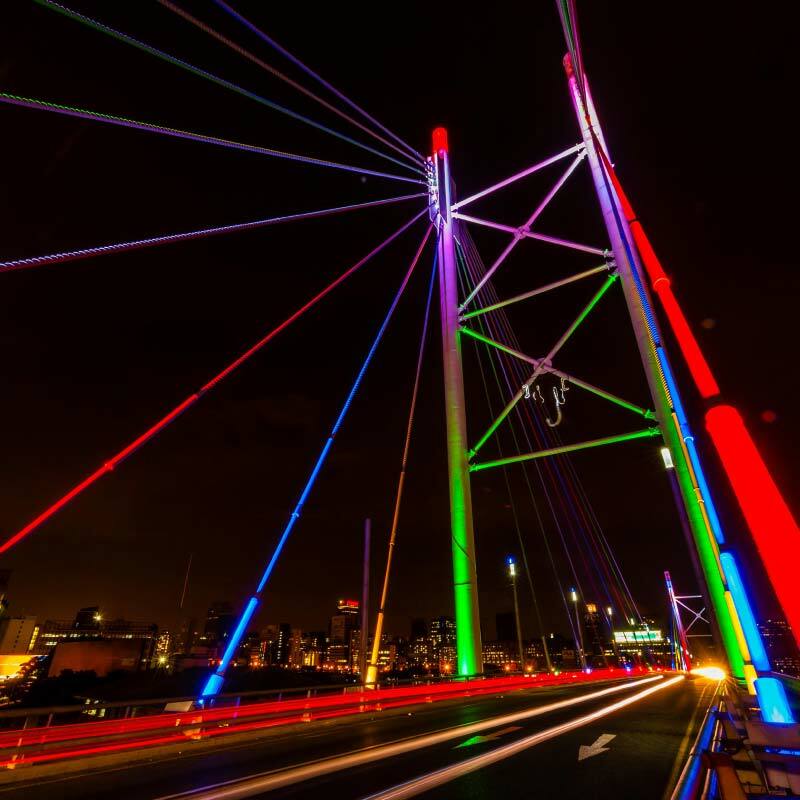 South Africa and Nigeria are good examples of the more mature African countries when it comes to investment in and success of projects, and in 2016 South Africa had the highest number of projects in the continent. However, recent years have also seen the emergence of other developing economies in Africa (such as Rwanda) with previously low numbers of projects, which are expected to have much more increased activity and investment in the next five years. There are also, of course, variations by region. It was West Africa which had the highest number of projects (valued at US$120 billion) in total for 2016. Different regions also focus on different sectors, with 33.6 per cent of projects falling in the transport sector, followed by 22.4 per cent in real estate and 21 per cent in energy and power in 2016. All of these trends and variations play a part in deciding which sources of funding are the most suitable and where. This paper explores the range of funding options available for African infrastructure, including trends, examples, advantages and challenges associated with each. Sovereign debt remains a key source of infrastructure financing. A number of African countries have been seeking to find alternative financing measures and, after the global financial crisis in 2008, nearly half of all African countries issued sovereign bonds. This was because bilateral loans and grants from Europe and the US had dwindled due to global debt problems. Demand for sovereign bonds, especially high-yielding African debt, is increasing with growing activity in debt capital markets across Africa. Sovereign guaranties have been used to protect investors but pose a challenge as many African governments continue to face issues over their creditworthiness and rating. DFIs have long played an essential role in financing infrastructure in Africa with a combination of direct lender and soft and hard tools to attract private-sector investment. DFIs can lend directly to projects and also lend under A/B loan structures whereby they have been able to bring other DFIs and smaller commercial banks into the market, which otherwise may not have previously been able to sustain the associated project and jurisdictional risks. Since DFIs have a long track record in funding projects that both encourage sustainable development and allow for economic returns on investment, they are persuasive and compelling partners for traditional lenders and are able to take significant political risk. They can offer tools that play a crucial role in risk mitigation in an area where political and economic instability are viewed as investment-hindering factors. DFI backing is still critical in many projects in order to provide confidence to other organisations to invest or for lenders to loan. Traditional DFIs such as the World Bank, the African Development Bank and the European Investment Bank remain important funders of Africa's infrastructure, and this trend is set to continue. Commercial bank lending plays an important role in funding African infrastructure. It can take the form of local and international commercial bank loans. Since the global financial crisis, the European banks have become far less active, and South African as well as Chinese banks especially have been quick to fill the vacuum that they left. Difficulties with commercial bank debt include managing the liquidity requirements of Basel III and other market reforms which have made non-recourse lending, typical for infrastructure finance, very difficult. Lending in Africa is generally coupled with high levels of political risk and thus often prove 'unbankable' for commercial banks alone, therefore leaving commercial banks (and developers) to have to consider ECA or DFI/IFI support to manage the risk. ECAs can provide direct untied financing or can provide guarantees/insurance policies to commercial banks with respect to political and commercial risks. ECAs focus mostly on extractive industries and sovereign deals. ECAs have always played an important role in Africa, which is characterised by extractive industries. Banks are reducing their lending to meet new liquidity standards. The balance sheets of the World Bank and the African Development Bank do not have enough funding available to bridge Africa's infrastructure gap. Against that backdrop, capital markets are an obvious alternative. Except for South Africa, though, to date these have generally not been widely used as sources of project finance in Africa. Most African countries still do not even have their debt formally rated. Yet capital market funding can be ideal for infrastructure development in frontier markets. This is nothing new. For instance, the railways of 19thcentury America were funded largely by bonds. Markets do not impose funding conditionalities in the same way as multilateral development institutions. Properly designed to reduce risk to acceptable levels, the cost of financing through bonds is frequently less than through conventional bank lending. Most major private equity firms include infrastructure funds in their portfolios, but very few infrastructure-focused funds exist in Africa. They could serve to bring much-needed regional expertise. Infrastructure-focused funds could also provide longer-term capital, helping to facilitate an exit for the initial project sponsor. In providing an alternative platform for liquidity, the funds could function as a synthetic capital market. Additionally, pension funds and other institutional investors find that long-term infrastructure investments tend to be a good fit. 7. Ashiagbor, D., Satyamurthy, N., Casey, M. and Asare, J., 2014. Pension funds and private equity: unlocking Africa's potential. Making Finance Work for Africa, Emerging Markets Private Equity Association. London. Private equity in Africa has come a long way since the 1990s. Here's what the African PE ecosystem looks like now. The region has robust long-term economic fundamentals. In an aging world, Africa has the advantage of a young and growing population and will soon have the fastest urbanization rate in the world. By 2034, the region is expected to have a larger workforce than either China or India—and, so far, job creation is outpacing growth in the labour force. Accelerating technological change is unlocking new opportunities for consumers and businesses, and Africa still has abundant resources. Private equity in Africa has come a long way since the early 1990s, which saw development financial institutions (DFIs) investing in government-initiated development projects across the continent. During that period, such investments were restricted almost entirely to South Africa and North Africa. The period that followed was characterised by the emergence of a limited number of South African–focused PE funds, which over the next decade started to invest more widely across the continent. By 1997, there were 12 private equity funds that had collectively raised US$1 billion to invest in Africa1. During the lead-up to the global financial crisis in 2008, a number of major international institutions turned their attention to Africa, and Africa-focused investment funds began to make their appearance in international markets. PE funds increasingly turned to emerging markets for levels of growth that were simply unattainable elsewhere. On the back of a commodities boom, driven largely by demand from China, an 'Africa rising' narrative began to pervade the media. Investments spread to other parts of the continent, most notably East Africa, southern Africa outside of South Africa and West Africa. As we fast-forward to 2017, the African PE ecosystem has significantly matured with more than 200 PE funds managing upwards of US$30 billion targeting Africa2 and unprecedented capital formation in 2014 – 2015, which saw more than US$7 billion raised to invest in Africa, including the first billion-dollar sub-Saharan African funds, Helios Investors III and Equatorial Guinea Co-Investment Fund3. During 2016, PE funds invested US$3.8 billion in 145 deals across Africa, which was a greater than 50 per cent increase compared to the US$2.5 billion invested in 20154. While these figures are small compared to PE investments into developed markets such as the United States, United Kingdom and Europe, they seem set to increase steadily in coming years. Given the importance of PE investment to Africa's national economies, it is reasonable to expect that African countries will continue to examine their legislative and policy frameworks in order to make them more attractive to foreign investment. On the other hand, 2016/17 has seen a decrease in new deals being initiated, which is likely to be reflected in more modest figures in 2017/18. The collapse in the price of oil and other commodities has hit investments in those sectors hard, and this has been exacerbated by currency depreciation in a number of African countries. As a result of the increased currency and execution risk, PE funds and other financial investors are expecting greater risk premiums. Although depreciated currencies may represent excellent value for new investments, that is little comfort to investors who have seen a decline in the value of previous investments. Since the global financial crisis, European banks which were previously very active in Africa have retreated to their home markets to rebuild their battered balance sheets. Coupled with small domestic public debt and equity capital markets in most African markets, this has created strong demand for other forms of finance typically reserved for PE transactions in Europe and North America. DFIs continue to play an essential role in African PE, particularly as a source of funding for development projects. However, traditional institutional investors, such as insurance companies and pension funds, are becoming an increasingly common source of funds5. More recently, global funds, such as Helios and KKR, have invested Western pension money in Africa, and notably, African institutional investors have become increasingly attractive investments due to rapid growth in this area. Pension funds in 10 African countries have an estimated US$379 billion in assets under management, of which US$29 billion could potentially be directed towards private equity, according to the Emerging Markets Private Equity Association (EMPEA). Economist Charles Robertson of Renaissance Capital estimated that pension funds in the six largest sub-Saharan African markets will grow to US$622 billion in assets by 2020 and to US$7.3 trillion by 2050. Such pension funds present a significant opportunity for alternative asset classes such as private equity. Private equity is currently a rare feature of African pension portfolios. However, Africa's emerging pension fund industry could also be a valuable source of funds for PE investments in the future as the market continues to broaden. Pension reforms across the continent also support this proposition: Nigerian pension regulations have been amended to include PE as a specified asset class for pension fund investment, and in South Africa the percentage of the total assets that pension funds can invest in PE has increased from 2.5 per cent to 10 per cent. Significant participation will remain unlikely until African pension fund trustees become less risk-averse and more familiar with this asset class. However, the opportunity in this area means that, like Western pension funds, we expect domestic pension funds to become a future source of funds for African PE. This graphic shows the 31 African nations listed in the 2016 Venture Capital & Private Equity Country Attractiveness Index. It excludes 23 other countries not included in that index. Source: Groh, A., Liechtenstein. H., Lieser, K. and Biesinger, M. 2016. The Venture Capital & Private Equity Country Attractiveness Index. IESE Business School. CSG analysis. Over the past decade, the focus of investment has shifted from South Africa and North Africa to new markets—most notably West Africa. While the returns that successful PE deals have delivered in recent years have generally exceeded those in developed markets, the risks and the challenges are very different. Determining how conducive a country's legal environment is to PE investment is challenging. One way is to use the Venture Capital & Private Equity Country Attractiveness Index published by IESE Business School,6 which includes 31 of Africa's 54 countries. In the infographic accompanying this article (Figure 2), the scores for these 31 countries are plotted against economic growth rates and the size of the economies to produce an overall picture of the attractiveness of African markets for PE. Over the past decade, the focus of investment has shifted from South Africa and North Africa to new markets—most notably West Africa. As Africa's largest economy, Nigeria has benefited from this, but smaller markets such as Côte d'Ivoire and Senegal have also felt the positive impact. Over the past decade, South Africa has attracted more investment than the next nine countries combined: Egypt, Nigeria, Kenya, Morocco, Mozambique, Ghana, Namibia, Algeria and Angola. This is illustrated in Figure 5 and Figure 6. In addition to new sources of funds, many features typically reserved for PE transactions in Europe and North America are increasingly prevalent in African PE. Greater availability of capital has been one of the key changes in the African PE market. As well as contributing to the growth in the secondary market, it has also paved the way for mid-market funds to source transactions that fall below the thresholds of larger players. In the first half of 2016, approximately 75 per cent of deals were below US$250 million, with most below US$100 million7. Given the typical deal sizes and the fact that most companies in the African economy are SMEs and mid-market companies, the deal flow and wider range of sectors present an opportunity that many mid-market African funds have seized. 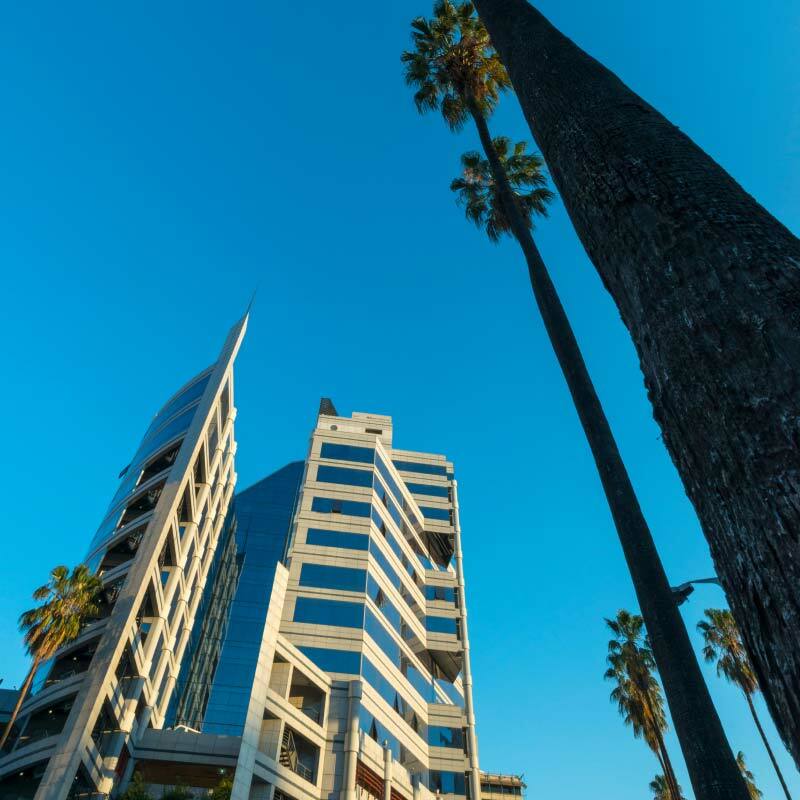 These mid-market funds include 8 Miles, Ethos Private Equity, Musa Capital and Enko Capital. As the African PE market grows deeper, we expect to see even greater stage specialisation with funds focusing on different levels of the market. The illiquidity of domestic capital markets, as described above, presents challenges for companies seeking funding. The small size and conservative nature of many African banks result in African PE deals being significantly less leveraged than equivalent deals in the developed world. As a result, the primary source of funding in African PE has historically been equity finance with a simple capital structure. As the market matures and aims to close the funding gap, mezzanine debt is becoming a key component in the capital structures of African companies, and there are a number of dominant South African funds in the mezzanine debt market. While specific forms of 'mezzanine debt' in a European context are generally clearly defined, in African countries it refers more broadly to subordinated debt or unsecured senior debt structures. A number of PE funds, such as Helios Investment Partners and TLG Capital, have raised funds specifically targeting these types of investments in Africa. Abraaj is currently in the process of raising a debt fund. Going forward, we expect to see an increasing number of such funds being established. The challenges posed by the African funding market and the increased complexity of companies' investment needs means that we also expect to see an increase in the use of tiered capital structures, with a broader range of share classes and debt instruments, loan notes, warrants, high-yield instruments and payment in kind (PIK) notes. Private equity has been a driving force in the increased use of warranty and indemnity (W&I) insurance in global M&A transactions, particularly on the buy-side. Such policies are beneficial for buyers with limited recourse against sellers who have poor covenant strength. They also allow PE and institutional sellers to achieve a clean break and distribute proceeds to their LPs. Historically, insurers have been wary of emerging markets. However, AIG reports that this is a growing area. Before offering W&I insurance, insurers assess the legal, political and regulatory risks in the relevant jurisdiction and reflect the level of risk through pricing and exclusions. We expect that the trend to take out W&I insurance, and the increased appetite to underwrite W&I policies on African PE transactions, will continue. According to the World Bank, 14 of Africa's 54 countries currently have economic growth rates exceeding 5 per cent per year, and Africa-wide growth of 4.5 per cent is expected for 2017 – 18. Even in countries that have been hit the hardest by the disruption caused by the slump in commodity prices (e.g., Angola and Nigeria), African governments and central banks have proved effective at maintaining a degree of stability. Macro-economic stability has been sustained by a mixture of fiscal conservatism, currency controls and interest rate management. Furthermore, PE investment itself is having a stabilizing effect on these economies, not only through the injection of capital but by virtue of the fact that bridging Africa's infrastructure deficit is one of the primary areas of African PE investment. Given the current trends, it is likely that African economies will continue to grow at rates that significantly outstrip the developed West. It is likely that investment opportunities in turn will increase in number, size and diversity. PE funds nonetheless need to be aware of the risks and how to mitigate them. Africa is a vast continent, comprising 54 countries with differing legal systems and historical legacies. Almost all African sovereign debt is rated as below investment-grade, which means that investments need to be carefully designed in order to meet LP requirements. This requires careful management not only of the financial but also the legal components of PE transactions. In navigating complex deals, understanding each local market is as important as understanding the black-letter law. Yet, it is true that for those who understand the continent, Africa offers investment opportunities that one would be hard pressed to find elsewhere. In the next edition of Africa Focus, we will explore the exit environment and options for PE in Africa. 6. Groh, A., Liechtenstein, H., Lieser, K. and Biesinger, M. 2016. The Venture Capital & Private Equity Country Attractiveness Index. IESE Business School. The implications of South Africa’s recent debt rating downgrade and options that may enhance project credit risk. While credit ratings are designed to assess the creditworthiness of country or corporation to inform the decisions of investors in these entities, the considerations of credit rating agencies may not always be fully aligned with those of investors. However, given a government's responsibility for delivering infrastructure and power and, as a result, its key role throughout the term of a project, it is not a stretch of the imagination that sovereign credit ratings may be noteworthy to investors in projects, particularly in emerging markets. The leading credit rating agencies, Fitch, Moody's and Standard & Poor's, use variations of a sliding scale of letter-based grades to rank debtors from 'AAA' to 'C'. 'A'- rated entities are sub-categorised as prime, high-grade or upper medium-grade entities and are associated with relatively low risk of default. 'BBB' ratings (or 'Baa' ratings by Moody's) are given to lower medium-grade entities, and ratings of 'BB' or 'Ba' are ranked as noninvestment-grade. Earlier this year, Fitch and Standard & Poor's downgraded the South African government's long-term foreign currency rating to sub-investment-grade at 'BB+', from the previous lower medium-grade rating of 'BBB-'. While Moody's did not follow suit to rank South Africa at speculative status, it downgraded the long-term issuer and senior unsecured ratings of South Africa by two notches within the space of two months from Baa1 to Baa3, just one notch above sub-investment-grade. The decisions of the leading credit rating agencies to downgrade the debt ratings of South Africa necessitate a consideration of implications of the downgrades that would be notable to investors in the project finance industry. Credit ratings are a measure of the economic strength of the sovereign and seek to measure the likelihood of debts being repaid on time. Rating agencies assess select key macroeconomic and socioeconomic indicators to determine a debtor's ability and willingness to honour financial obligations. The leading rating agencies cited certain key drivers for South Africa's downgrades. Weak growth in South Africa's GDP was considered by Fitch, Moody's and Standard & Poor's as a common driver in the downgrades. Sizeable contingent liabilities and deteriorating governance were also cited as drivers of the downgrades. According to Moody's, the weakening of South Africa's institutional framework cast doubt over the strength and sustainability of the recovery in growth and the stabilisation of the debt-to-GDP ratio over the near term. The leading credit agencies have devised separate criteria to rate debt that is repayable from cash flows arising out of the ownership and operation of projects or facilities. The ratings are used to assess the creditworthiness of project finance agreements. Generally, sub-investment-grade ratings are associated with higher risk, which may result in higher borrowing costs for the rating holder. The presence of the perceived risk related to governance (such as regulatory, fiscal, political and macroeconomic risk) is relevant particularly to foreign investors, since a country's ability to service its foreign debt or equity depends on capital mobility and currency convertibility policies, regardless of whether a project is bankable. The perception of credit rating agencies may be influential to a foreign investor's assessment of risk in this regard. If, for example, as a result of a weaker institutional framework assessed by credit rating agencies, the measures that the South African government will take in situations of financial distress (such as direct intervention to control foreign exchange markets) are uncertain, investors may require assurance that a foreign currency loan obligation is capable of being serviced in a timely manner. 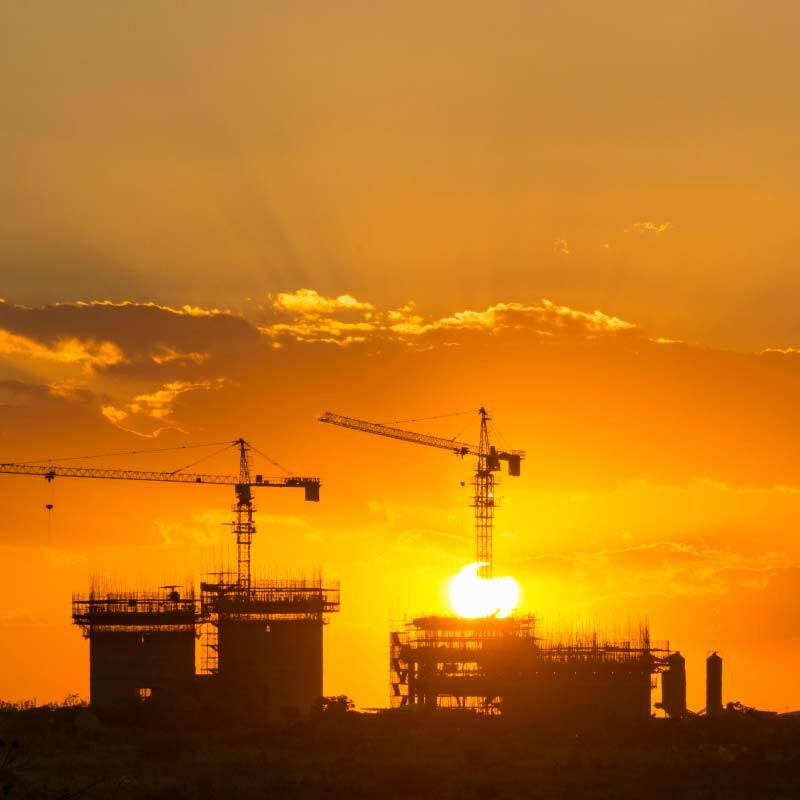 Accordingly, if foreign investors perceive a higher sovereign risk in South Africa following the downgrades, they may demand a higher premium to invest in a project. The "Basel III: A Global Regulatory Framework for More Resilient Banks and Banking Systems" report published by the Basel Committee on Banking Supervision requires an increase in the quantity of capital to be held by banks, making non-recourse lending difficult. In particular, Basel III requires banks to keep funding in place of at least one year in maturity for their long-term asset bases of one year maturity or more. While the term of the capital to be maintained need not cover the full term of the asset and Basel III continues to allow banks to be indebted for shorter terms than its loans, the lengthy maturity periods of project loans may require banks to secure funding for periods longer than one year. The additional funding required to be held by banks under Basel III for purposes of a long-term investment in a country with increased sovereign risk may further erode appetite in the banking sector to fund projects. Sub-investment-grade ratings are also problematic to institutional investors. Asset fund managers are required to comply with the provisions set out in Regulation 28 under the South African Pension Funds Act, 1956. Among others, Regulation 28 prescribes asset limits, requires asset managers to maintain an investment policy and stipulates certain investment principles to be followed by asset fund managers. In terms of these principles, an asset fund manager may take credit ratings into account, but it may not rely on them to assess risk. Such principles further require asset fund managers to perform due diligence on investment opportunities to account for credit, market and liquidity risks as well as operational risk for assets not listed on a stock exchange. Due to the requirements of Regulation 28, asset fund managers often implement a policy that restricts investments to investment-grade assets. According to Moody's, South Africa's institutions are, on average, stronger than those in other emerging markets. Assertive infrastructure investment is required across the continent in order to address infrastructure deficits and create future growth. Compared to its BRICS peers, South Africa is ranked similarly to Russia and is a notch above Brazil, while India maintains a lower medium-grade rating and China boasts upper medium and high-grade ratings. Moody's anticipates a negative outlook for the creditworthiness of sovereigns in sub-Saharan Africa for 2017, driven mainly by the liquidity stress facing commodity-dependent countries including recurring fiscal deficits, subdued economic growth and persistent political risk. By the end of 2016, Moody's downgraded seven sovereigns in sub-Saharan Africa by an average of around two notches, with a total of 29 of the 134 countries rated by Moody's downgraded globally. With the exception of Botswana, which holds upper medium-grade ratings from Standard & Poor's and Moody's (A- and A2 respectively), South Africa's credit ratings collectively rank above the rest of sub-Saharan Africa, the majority of which hold highly speculative ratings. The only other higher-rated sub-Saharan African countries in 2017 are Mauritius and Namibia. Nevertheless, according to Moody's, South Africa's institutions are, on average, stronger than those in other emerging markets. Assertive infrastructure investment is required across the continent in order to address infrastructure deficits and create future growth. However, where the presence of sovereign risk is recognised, credit rating agencies may cap the rating of project finance transactions in emerging economies at the level of the relevant sovereign's rating. According to a recent policy brief by the Brookings Institution, the three main external sources of infrastructure finance in Africa are: a) official development finance (primarily from the World Bank and the African Development Bank); b) participation by the private sector (primarily in telecommunications, transport and energy projects); and c) official Chinese financing (primarily in the transport sector), which collectively account for 97 per cent of all such external investments. Source: Fitch Ratings, Definitions of Ratings and Other Forms of Opinion, August 2012. Moody's Investors Service, Ratings Symbols and Definitions, June 2012. Standard & Poor's, Standard and Poor's Rating Definitions, June 2012. Pension funds have recently emerged as investors in projects. While sovereign guarantees are useful to protect investors, Moody's has identified as challenges to South Africa's creditworthiness the emergence of liquidity pressures on state-owned companies that require government intervention, such as the provision of guarantees. Accordingly, the cost of financing associated by perceived sovereign risk may be tempered by the availability of third-party guarantees, particularly those provided by institutions holding a higher credit rating than the government, and other contractual security arrangements, such as collateral or insurance. Historically, the support of official agencies has been essential to projects in African countries. Development finance institutions (such as the Overseas Private Investment Corporation and the Multilateral Investment Guarantee Agency) as well as public and private export credit agencies (such as the Export-Import Bank) have also in the past reliably mitigated risk to investors through loan guarantees, political risk insurance and subordinated equity. Monoline insurance companies such as MBIA and AMBAC may be engaged to provide insurance coverage for development and construction risk. As an alternative to a sovereign guarantee, a put/call option was applied in a power project in Nigeria in terms of which the government agreed to purchase the power plant at a certain price in the event that the off-taker defaulted. As this model would have no effect on a country's balance sheet, it would not affect a country's credit rating. Banks may require non-bank investors, including pension funds, private equity funds and other asset funds, to supplement the funding of projects. Pension funds have recently emerged as investors in projects. The South African Government Employees' Pension Fund has invested in solar power and telecommunications projects. The tendency of pension funds to invest in fixed-income bonds makes them suitable investors in long-term, capital-intensive projects. Regional infrastructure funds, such as the Pan-African Infrastructure Development Fund, the Africa Development Bank's Africa50 Fund and the COMESA Infrastructure Fund, may also prove to be a useful source of project finance in the future. The bond market is currently a topical source of funding for projects. The liquidity of project bonds and their other regulatory advantages allow them to meet demands that banks cannot. 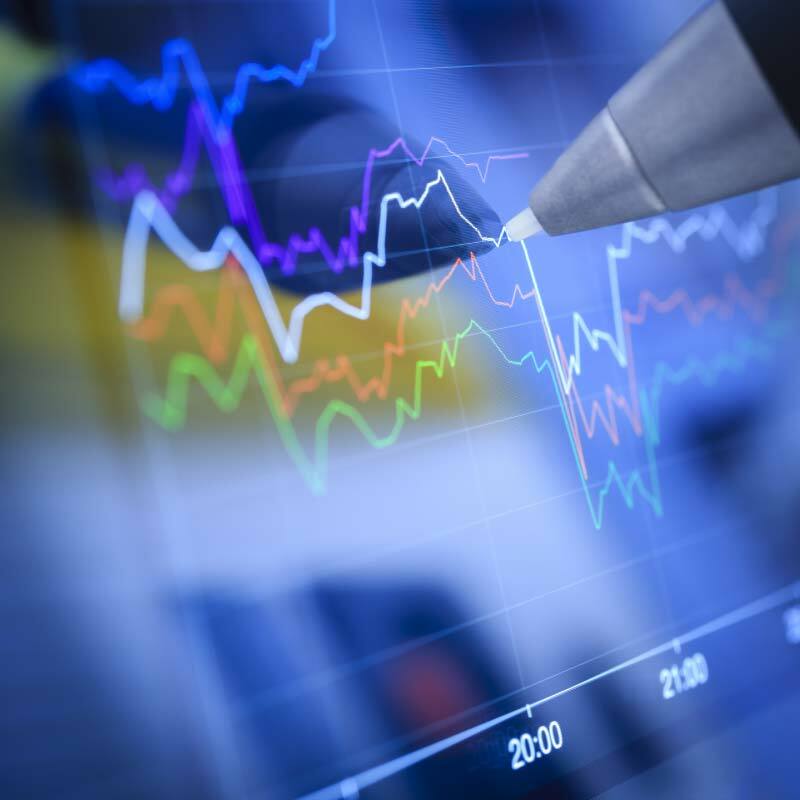 In order to facilitate the use of project bonds in South Africa, the JSE Limited is currently developing a new listing framework for project bonds. Further, high-rated bonds require less funding than similarly rated loans under the proposed net stable funding ratio requirement in terms of Basel III. An even more attractive option is for bonds to be issued directly by highly rated institutions such as multilateral banks to fund projects and repaid by the government through a loan by the institution. It is noteworthy that the World Bank recently announced its plan to provide US$57 billion in financing for sub-Saharan African countries over the next three fiscal years, a portion of which is expected to be allocated to infrastructure projects such as access to water and power. Overall, the strengths identified by credit rating agencies indicate a well-established independent judiciary and impartial regulatory systems that allow access to a variety of financing products and platforms. Unlike in other African countries, it is expected that project finance in South Africa will continue to involve a mix of investors, which reduces the risk to a particular partner. This, together with the perceived profitability of project finance transactions, may be sufficient to override certain sovereign risk concerns. As project bonds are generally rated in terms of methodologies that are distinct from those used to rate the country hosting the project, it may prove to be easier for credit rating agencies to rank project bonds higher on the rating scale than a host country, particularly where credit enhancing measures are applied. For example, a recent bond issued by the City of Johannesburg was rated 'AA-' by Fitch due to the partial credit guarantees for up to 40 per cent of the principal amount provided by International Finance Corporation (which holds a 'AAA' long-term issuer credit rating from Standard & Poor's) and the Development Bank of Southern Africa. Managing risk in a growing market. Today, many areas of the African economy are still growing despite challenges due to sharp reductions in the price of oil and other natural resources. Besides the industries related to the continent's natural resources, infrastructure projects, banking and telecommunications are also on the rise. In these areas and many others, Africa has a large untapped market with relatively low penetration and great potential for investment and business. With development comes disputes, though, and litigation in Africa can be a complex affair. Procedures and substantive law derive from legal systems established during the pre-independence era. Broadly speaking, the legal systems across the continent are based on either common law or the codified civil law systems of the former colonial powers, sometimes mixing elements from both legal systems. Finally, Islamic and customary law can be heavily influential in some jurisdictions as well. Frameworks for civil litigation exist in African jurisdictions; but litigation may be complex and time-consuming — hence costly. Even in the case of a favourable ruling, enforcement can be challenging. Enforcement of foreign judgements can be particularly difficult in some jurisdictions, especially if no reciprocity agreement exists with the jurisdiction in which the judgement was obtained. In cases where the counterparty is a state entity, that entity may furthermore benefit from enforcement immunity. It follows therefore that investors and businesses are increasingly turning to arbitration as a sensible option to be used in the event of a dispute. Arbitration is an alternative to state court litigation with the goal of obtaining a binding and enforceable decision rendered by legal and industry experts. The end product of arbitration proceedings is an 'award'. As a general rule, awards are more difficult to appeal and easier to enforce than domestic judgements, in particular in other countries, based on international treaties, such as the New York Convention on the Recognition and Enforcement of International Arbitral Awards (NYC) or the Riyadh Arab Agreement for Judicial Cooperation (RAAJC). Arbitration can be split into two main categories: commercial and investment arbitration. Although African states generally have some form of arbitration framework in place, in many cases, they are in the very early stages of development. In commercial arbitration, which is by far the more relevant category for the resolution of disputes relating to business activities, the parties agree under a contract to submit their disputes to arbitration. Most commercial arbitrations are administered by arbitration institutions, such as the International Chamber of Commerce (ICC) or the London Court of International Arbitration (LCIA). Those institutions also provide the parties with procedural rules. Commercial arbitration permits parties to opt-out from state jurisdictions and mitigate legal risks (e.g., incomplete or non-existent local law, unspecialised state courts and political pressure on judges). Another advantage is that parties can select legal and industry experts who are the most qualified to resolve their disputes as their arbitrators. Investment arbitration is a relatively rare but powerful creature when it comes to protecting investors against political risks. Investment arbitration permits a foreign investor to seek remedies against a state for breach of protections granted under a bilateral or multilateral treaty. Such treaties are concluded between states, whereby each state undertakes to ensure that investments made by investors of another state party to the treaty are protected against unreasonable or arbitrary state action. An investor seeking to pursue such remedy must show which specific protection guaranteed by the treaty has been breached due to state action. Investment arbitration is often relevant for unlawful state interference with large-scale projects, such as infrastructure, energy, mining, etc. An example would be the expropriation of a telecommunications provider without adequate compensation. Just as commercial arbitration, investment arbitration permits investors to bring their disputes with sovereigns to tribunals sitting outside the affected country and to obtain a binding and enforceable decision against the state. In addition to being enforceable inside and outside the affected state, many states confronted with adverse awards choose to pay voluntarily. Africa accounts for about 836 Bilateral Investment Treaties (BITs). Virtually all Africa-related BITs have provisions for dispute settlement, and in the vast majority they refer to investment arbitration. Forty-five African countries have ratified the Convention of the International Centre for Settlement of Investment Disputes (ICSID). As of December 2016, 15 per cent of ICSID's case load of registered cases was against sub-Saharan African countries and 10 per cent against Middle East and North African countries. ICSID recently signed a collaboration agreement with the Lagos Regional Centre for International Arbitration. By this collaboration, ICSID arbitrations can now take place in Lagos, Nigeria. Besides these BITs, there are also regional investment agreements like the Investment Agreement for the Common Market for Eastern and Southern Africa (COMESA) and the Southern African Development Community (SADC) Protocol on Finance and Investment, which contain provisions for investment arbitration. Other investment treaties, such as the Economic Partnership Agreement between the European Union and its member states and the SADC states (Botswana, Lesotho, Mozambique, Namibia, South Africa and Swaziland), provide only for a state-to-state arbitration dispute resolution system. Concerns raised by civil society groups about transparency of investor-state arbitration proceedings and whether poor and heavily indebted states are significantly disadvantaged in disputes against well-funded investors have led to questions about the balance of power in these disputes. Some countries are renegotiating and even terminating BITs to avoid investor-state arbitration. 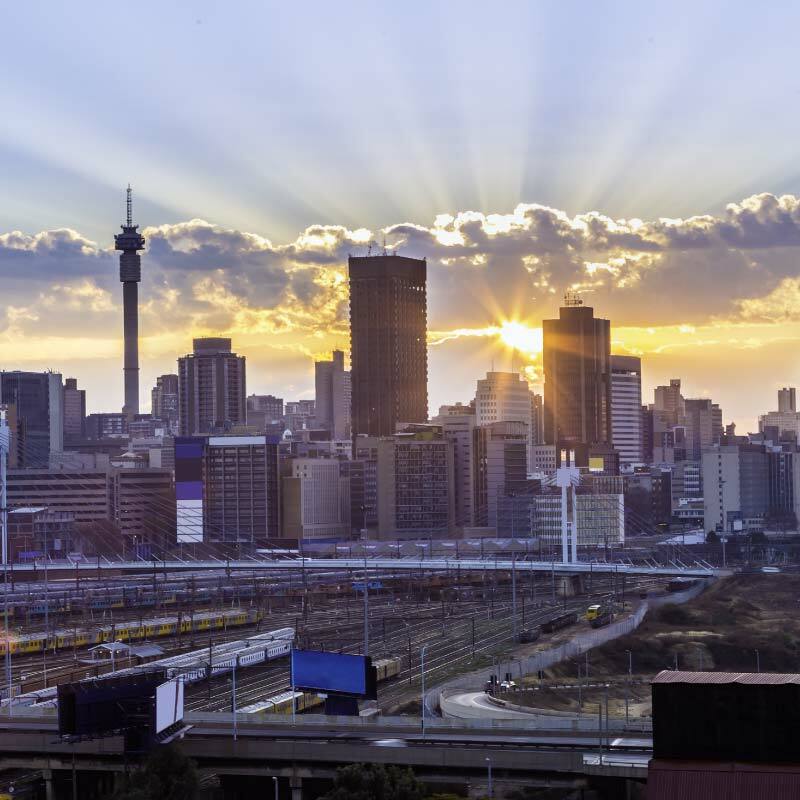 South Africa, for instance, has recently replaced its BIT regime with a new domestic law that does not permit the use of investment arbitration. The SADC member states have also been considering changing their investment protection in the SADC Protocol on Finance and Investments by replacing investment arbitration with state-to-state dispute resolution. Despite this scepticism, there has been a steady increase in investments in these areas, and an increase in the number of bilateral investment treaties signed by African states, as well as an increasing number of investment codes that incorporate protections for investors. Investment arbitration cases involving African state respondents are significantly on the rise as well. COMESA for example plans to update its arbitration rules to enhance investment protection. Similarily, in March 2017, the Organisation of Islamic Cooperation (OIC), which accounts for 27 African member states out of 54 in total, and the International Islamic Centre for Reconciliation and Arbitration (IICRA), headquartered in Dubai, signed a Memorandum of Understanding (MOU) aimed at establishing partnership between the two parties on investment and trade conflicts. Under the MOU, the OIC and IICRA will promote arbitration as a means to protect investments in member states. Parties are encouraged to assess carefully what institutions are best suited to handle a future dispute. The growth of arbitration across Africa is supported by legal reforms across the continent. Several countries have modernized their arbitration laws, and 36 out of 54 African states have ratified the NYC, the most recent to accede being Angola, in March 2017. Africa-related commercial disputes have traditionally been arbitrated in Paris or London under the ICC or LCIA rules. Africa-related disputes accounted for 5.5 per cent of the ICC's case load in 2015. It is also noteworthy that sub-Saharan Africa accounted for the highest percentage of state and state- owned entities who were parties to ICC-arbitrations. Regarding the LCIA, Africa accounted for 6.4 per cent in 2015, with disputes from Nigeria alone accounting for 2.1 per cent. The LCIA has also entered into a joint venture with Mauritius in 2012 to create the LCIA-Mauritian International Arbitration Centre (LCIA-MIAC). The LCIA-MIAC has its own set of rules that are based on the LCIA Rules and conceived for parties who are familiar with arbitrating through the LCIA but want to resolve their disputes in Africa. It is important to note that the strong ties to Paris and London are by no means conceptually required, but may result simply from language conveniences. Parties are well advised to consider whether it is possible to obtain the same level of protection outside the traditional hubs. Meanwhile, a number of home-grown African arbitration centres have also emerged. Arbitration lawyers and arbitrators are progressively calling for Africa-related disputes to be heard in Africa rather than 'exported' to international centres. The Cairo Regional Centre for International Commercial Arbitration (CRCICA) and the Lagos Regional Centre for International Commercial Arbitration are such Africa-grown institutions with an international reach. In Francophone Africa, OHADA (Organisation pour l'Harmonisation en Afrique du Droit des Affaires – the Organization for the Harmonization of Business Law in Africa) is a supranational organisation aimed at harmonising commercial law among its 17 member states (see Figure 4) and increasing investment in the West and Central African economic zone. OHADA also provides for an arbitration institution, the Cour Commune de Justice et d'Arbitrage (CCJA) which is based in Abijan, Côte d'Ivoire. Arbitral awards rendered under OHADA are final, binding and enforceable among its member states. This is particularly useful because five OHADA member states are not signatories to the NYC (Chad, Congo, Guinea-Bissau, Equatorial Guinea and Togo). Another popular alternative for international investors in Africa is the Dubai International Finance Centre (DIFC). One of the key attractions of Dubai for parties contracting in Africa is the availability of enforcement under the RAAJC. Eight out of the 20 RAAJC member states are African countries, and three among them are not members of the NYC (Sudan, Somalia and Libya). Although there may be reasons to choose a local African arbitral institution, established arbitral institutions have a proven track record in efficiently administering large arbitrations: They possess the necessary infrastructural facilities required for the smooth conduct of proceedings. Moreover, these international institutions have professionals with several years of experience in administering large and complicated cross-border disputes. Thus, parties are encouraged to assess carefully what institutions are best suited to handle a future dispute. If a party wishes to arbitrate its disputes in Africa, it must choose a seat where the judiciary is known to be proactive and trained in the practice and procedure of arbitration, so that they support the arbitration process and enforce arbitration agreements and awards. It is also highly recommendable to arbitrate in a country with modern arbitration legislation. Security, political stability and corruption indices are other important factors that must be considered. It is equally important to choose an institution which has both adequate infrastructural facilities and technology and well- trained professionals who are able to administer the dispute efficiently. Finally, the party should consider using legal counsels with experience with Africa-related arbitrations who know how to manage the dispute. Are project bonds an option for funding infrastructure development in the OHADA region? An option for funding infrastructure development in the OHADA region? Increasing stringent capital requirements on banks has the market looking for alternative means of funding. In the developed economies, the Basel III accord aims that banks will increase the amount of capital that they hold by 40 per cent, by 2019. The next accord, Basel IV, will likely increase this still further and move from using a bank's internal assessment of risk to standardised, industry-wide capital models. Largely because of this pressure, global project finance lending volumes fell 17 per cent between 2015 and 2016. Banks are developing innovations to allow them to continue to fund longer-term investments such as infrastructure projects, for instance, the wider use of non-payment insurance (NPI) policies (not to be confused with credit default swaps). Such policies can also have the impact of increasing the creditworthiness of a project by reducing default risk. Banks are also reducing the period for which they hold loans, by selling them to institutional investors instead of holding them until maturity. Capital markets have been expected for some time to take a more prominent role in financing infrastructure development in Africa. Bonds could be especially relevant in African markets where fluctuations in commodity prices have compounded liquidity issues. In West and Central Africa, capital requirements imposed by central banks may restrict the possibility for regional banks to finance projects on a long-term basis. In a world where acceptable returns are hard to find in developed markets, emerging markets are becoming increasingly interesting to institutional investors. While loans of various types (procured very often by development financial institutions) still make up the bulk of global infrastructure financing, it is very likely that as a long-term trend, capital markets will become more established as a mainstream source of finance for infrastructure development. Project bonds are now well understood in developed markets such as Europe and the United States. They have also been used in emerging markets in other parts of the world. This paper examines their potential for funding infrastructure investment especially in the OHADA markets of central and west Africa. These countries have a common organised legislative framework and financial market. This makes it possible to develop and promote project bonds on a regional basis. This is important because each country, individually, is too small a market to viably promote project bonds on its own. From a legal, financial and economic standpoint, several of the prerequisite tools are already in place. Others still to be addressed are needed to create a favourable environment for project bonds. OHADA (Organisation pour l'Harmonisation en Afrique du Droit des Affaires, or the Organisation for the Harmonization of Business Law in Africa) is a system of business laws adopted by West and Central African nations on 17 October 1993 in Port Louis, Mauritius. The member states are: Benin, Burkina Faso, Cameroon, Central African Republic, Chad, Comoros, Côte d'Ivoire, Democratic Republic of Congo, Equatorial Guinea, Gabon, Guinea, Guinea-Bissau, Mali, Niger, Republic of the Congo, Senegal and Togo. The purpose of OHADA is to facilitate and encourage both domestic and foreign investments in the member states. The laws promulgated by OHADA are exclusively business-related and are named Actes Uniformes (Uniform Acts). A Uniform Act is law containing all relevant legal norms needed to ease business in the member states. Such law is directly applicable in the member states without any further need to transpose it. The main legal provisions relating to bond issues are found in the Commercial Companies and Economic Interest Group Act. In Western and Central Africa, the CFA franc (FCFA) is the name of two currencies used in these sub-regions, which are guaranteed by the French treasury. The two CFA franc currencies are the West African CFA franc and the Central African CFA franc. They are pegged to the euro and directly convertible in euros at a fixed rate. The West African CFA franc is the currency of eight independent states in West Africa: Benin, Burkina Faso, Guinea-Bissau, Ivory Coast, Mali, Niger, Senegal and Togo. These eight countries have a combined population of 90.4 million people (as of 2016). They form a regional monetary and economic union: the UEMOA (West African Economy and Monetary Union). Each of the sub-regions has a single central bank, and exchange control regulations do not apply to capital movements between countries within each of the sub-regions. Thus, in each of these sub-regions, it is possible to draw on the financial resources of all the countries being part of the regional organisation, with the same currency and with the same legal background (OHADA laws, central bank). As the local currency is pegged to the euro, there is no exchange risk except the one linked to the euro, whereas a risk of devaluation exists (as in 1994). The Bourse Régionale des Valeurs Mobilières SA (Regional Securities Exchange SA) or BRVM is the regional stock exchange serving the following West African countries: Benin, Guinea Bissau, Burkina Fasso, Côte d'Ivoire, Mali, Niger, Senegal, Togo. BRVM uses a totally electronic all-day trading. In 2017, its stock market capitalisation amounted to 7,706.27 billion FCFA and its bond market to 579.23 billion FCFA. West Africa is home to 168 banks and Central Africa to 20. Compared to North and South Africa, these numbers are still very modest — even more so compared to the rest of the world. The banking sector in these regions has undergone major reforms since the 1990s, though, when most of the banks were state-owned. Most are now commercial banks. Several studies are currently under way by the development agencies to consider offering their products as credit enhancement for project bonds issues. Such credit enhancement would undoubtedly mitigate the perceptions of risk on the part of institutional investors. Despite the fact that other kinds of bonds have been used, no project bond has yet been issued in the OHADA region. Some of the avenues by which obstacles to project bonds might be overcome include the following. Commercial banks in the OHADA region are focused primarily on retail banking and not actively involved in infrastructure finance. Conversion of deposits into loans is at an early stage of development, and deposits are generally stored in foreign banks rather than deployed in local investments. According to the Bank for International Settlements and to the Banque de France, in 2014 the residents of the Zones Francs (CEMAC and UEMOA) held a total of US$14 billion in cash in off-shore bank accounts. The level of penetration of the banking sector in Africa is also low by global standards. It follows that credit is also very low by global standards. A lack of investment banks with required know-how to structure financial products, intermediate, and invest liquidity further exacerbates the issue. Widespread use of sophisticated financial products in Africa will require the emergence of a similarly sophisticated investment banking profession across the continent. Many such African investment banking professionals exist but most are employed in international banks and institutions. Creating attractive opportunities for them to return home and transfer their skills into African markets would help. Local pension funds, insurance companies and other institutional investors need to be mobilized as source providers. In Europe, the project bonds market is dependent on such investors, who need to acquire assets that match their liabilities, to develop long-term and stable resources. In some countries, like Nigeria and Ghana, some fundamental reforms have been undertaken to allow and promote pension funds. In Nigeria, the assets managed by pension funds were the equivalent of US$3 billion in 2007, US$14 billion by 2011 and US$25 billion at the end of 20121. By creating a more favourable environment for pension funds (associated of course with traditional retirement schemes), legislators can also encourage those institutions to invest in capital markets products and financing infrastructure development. In turn, the enhanced infrastructure encourages economic growth and more individuals invest in their pension funds and in savings. The creation of an environment that allows and encourages the emergence of professional asset management companies, under the supervision of a national agency to supervise and control the activity, needs to accompany this. As with the banking sector, an entirely new African asset management profession is required to service the needs of African markets. In Europe, teams of asset managers exist who are well experienced in the assessment and management of infrastructure assets. Some of these professionals come from the banking sector, others from the former monolines. These teams include members of the African diaspora and others who could be encouraged to form the catalyst for the development of such teams in OHADA. Concerning the insurance sector, 14 member countries of the Zone Franc have established the CIMA (Conférence Interafricaine des marchés de l'assurance.) However, this sector remains highly undeveloped, even compared to other countries on the continent. It comprises 160 insurance and reinsurance companies but with one of the lowest worldwide penetration rates. In April 2016, the member states agreed that the insurance companies should increase their minimum capital by a multiple of 5. Earlier in Nigeria, in 2007, a similar reform required a multiplier of 202. Even more ambitious reforms, such as rendering certain kinds of insurances compulsory (such as construction, civil liability), may be required as the OHADA economies grow. And the premiums from such policies may become available for investment in such products as project bonds, as African insurance companies develop their own asset bases. Based on the French model, the OHADA countries could even organize a Caisse des Dépôts, a state-owned financial institution, collecting savings and redeploying those as a tool for executing their development policy. An African example of this is the Moroccan Caisse des Dépôts. It is worth noting that the transfer of funds from the diaspora in West Africa reached US$26 billion in 2016 (Nigeria being the leader with US$19 billion dollars in 20163. Although the OHADA legislation regulates bonds issued by companies, in some respects the regulations are too rigid to allow the widespread use of project bonds. Quorum and majority rules are compulsory and uncompromising, as are the ways in which security is treated. When looking at a project company, Article 780 of the OHADA Act on Commercial Companies provides that only corporations (sociétés anonymes) and economic interest groups composed of corporations with at least two years of existence and two approved annual financial statements are permitted to issue bonds. This eliminates newly incorporated companies from being able to do so. Because many project companies are newly incorporated or specialpurpose vehicles for the purpose specifically of developing the project, these rules are an obstacle for a bond issue to finance the construction phase of a project. French law on bond issues, which was drafted along similar lines to the OHADA legislation, has recently been amended to facilitate bond issues in certain cases, notably project bonds (Ordinance n° 2017-970 of May 10, 2017). Besides having the necessary tools and the resources, a viable environment for project bonds also requires that perception of risk be addressed. Typically, most of the projects in the region involve the public sector and the private sector. Revenues frequently come from the public sector and the usual political risk products are available to mitigate this perceived risk (e.g., MIGA insurance; partial risk guarantees from World Bank and other DFIs). This risk perception is even stronger when part or all of the expected revenues of a project come from end users (e.g., toll roads). Several studies are currently under way by the development agencies to consider offering their products as credit enhancement for project bond issues. Such credit enhancement would undoubtedly mitigate the perception of risk on the part of institutional investors from both African and non-African markets that might invest in project bonds. As a European example, the EIB has structured its project bond credit enhancement product for a similar purpose. As typical investors would require a certain rating (investment-grade), the EIB product is designed as a guarantee, absorbing the first risk of loss of a project (notably where projects are operated through a demand structure) while still being an instrument subordinated to the senior investors, thus allowing some projects to be rated as investment-grade. There are some studies being currently developed by various stakeholders to assess whether such type of products could be structured for projects in Africa. In the interim, rather than 'lending', DFIs might be able to develop ways to subscribe to project bonds themselves. They cannot always buy such products. It might be possible, though, to structure debt funds as are used in Europe as a vehicle for such a strategy. With tools and resources in place and risk perceptions addressed, the final requirement is for suitable projects. Many projects in development in the OHADA region and in Africa generally never reach financial close, and development phases of projects are very long, by global standards. Projects to be financed with project bonds therefore need to be identified and designed so as to have a reasonable development phase and a structure that makes them bankable. The operational phase (where the project enters into operation and produces revenues). At what point should a project bond be issued? Bond markets are typically averse to construction risk, although this has softened in Europe with the emergence of well-designed projects with project documents that allocate risks in ways that are now well understood and accepted by the market, and where the sponsors have a proven track record of successfully completing projects. If the DFIs continue to finance the construction period, why not through a project bond or a partial risk guarantee (acknowledging that this necessitates not only a strong contractual structure but also renowned sponsors and contractors)? In an entirely new project bond market — such as OHADA would be — this may be premature. If that is the case, bank term loans for the construction period (that could be granted by commercial banks and DFIs) could first be put in place to finance the construction phase and then be refinanced through a project bond when the project enters the operational phase. With shorter financing periods, such term loans would be easier for banks to accommodate their capital requirements, too. The legal foundation for project bonds in OHADA already exists. What has been described here are ways in which that foundation could be enhanced, to make them more viable and attractive. Willingness also clearly exists among the various stakeholders to make them work. The next step is to develop resources with the right instruments: PRG, credit enhancement products, refinancing structure and, most important, ways of improving the delivery of bankable projects. Here too, a number of initiatives exist (such as the ASLF of African Development Bank) whose aim is achieving financial close in a reasonable time and designing bankable projects with robust contractual structures. The most difficult obstacle to overcome may be that a viable project bond market requires a strong underlying economy. The challenges of the OHADA countries (and African countries generally) as they develop and diversify their economies is well known. So too the continent's potential and the role that infrastructure development must play in unlocking that. The development of sophisticated African capital markets will evolve slowly as the economies develop and as African finance professions develop. In the short term, mechanisms need to be found to enable products like project bonds, which have been proven in other parts of the globe, to be applied to African infrastructure projects. As has happened in the telecommunication and banking sectors in Africa, scope also exists to 'jump' over the legacy developments in Europe and elsewhere and develop new, innovative approaches to project bonds that learn from the experiences elsewhere and offer value in ways previously impossible. Several options are available to mitigate counterparty credit risk, one of the most challenging aspects of project development and delivery. The absence of meaningful credit support and enhancement often results in projects being considered unbankable and at times proves fatal to timely and cost-efficient project development. Counterparty credit risk continues to remain a key, often threshold concern for private sector sponsors and lenders to the majority of power projects in sub-Saharan Africa. Structuring power projects in an effort to overcome or substantially mitigate counterparty credit risk in these countries is challenging for private and public stakeholders alike. Our clients often note that while every country and project in sub-Saharan Africa is unique, mitigating counterparty credit risk or perceived credit risk is typically the single most challenging aspect of project development and delivery in most sub-Saharan African countries. In this article, we consider a number of options available to private sector sponsors and lenders to assist with the counterparty credit risk challenge. The majority of power sector offtakers in sub-Saharan Africa remain wholly or majority state owned and controlled. With a few exceptions, most of these offtakers do not have independent credit ratings and their financial position (if known at all) does not provide private sector sponsors and lenders with the necessary comfort, particularly over the longer term. The reasons underlying the financially precarious position of state-owned power sector offtakers are well known. An unhelpful combination of continued non-costreflective tariffs and high-power procurement costs, limited financial capacity and flexibility, high technical and commercial losses, poorly maintained infrastructure and low collection rates (among other factors) has meant that offtakers have only seen modest (if any) gains in their financial standing over the last two decades. This is despite unbundling, frequent recapitalisation, external and internal intervention, ad hoc injections of additional liquidity and frequent statements of intent to restructure the power sector. All of this has meant that private sector investors and lenders continue to require credit support and credit enhancements to underpin the obligations of power sector offtakers. The absence of meaningful credit support and enhancement often results in projects being considered unbankable and at times proves fatal to timely and cost-efficient project development. The classic approach to secure credit support and enhancement has been for private sector investors and lenders to require government support through either a government/sovereign guarantee or more recently, through government undertakings documented in implementation or state support agreements or through put and call option agreements. Nomenclature and certain nuances aside, there is limited, if any, practical difference between these approaches. If the underlying power purchase agreement transfers the risk of change in law or political force majeure events to the offtaker and this translates into the offtaker having to make a payment whether by way of tariff increases or capital/lump sum payments, this too would usually be covered under the broader umbrella of offtake payment liabilities. If it does not, sector investors and lenders would look to the government for a standalone obligation to protect or restore the position of the investors and lenders in such circumstances. Securing this kind of government support has become more difficult with governments increasingly reluctant to provide such support, in certain cases going so far as to expressly rule out the notion of any sovereign guarantee or that the government back-stop the commercial risk associated with the long-term sale of electricity to stateowned offtakers. One of the key reasons for this guarded approach is the increasing emphasis and focus on the recognition and treatment of contingent liabilities on a country's balance sheet (see "Making sense of contingent liabilities") and the impact of this on the country's financial position generally. The vast majority of projects have tended to use multiple layers and different kinds of credit support and credit enhancement to achieve a position that when viewed as a whole is determined to be bankable. Government support has rarely been viewed as the only form of credit support and credit enhancement which is suitable or necessary for power sector projects in emerging markets. The vast majority of projects have tended to use multiple layers and different kinds of credit support and credit enhancement to achieve a position that when viewed as a whole is determined to be bankable. Understanding and deploying such a multi-layered approach has become increasingly important as governments reject providing comprehensive government support (to avoid difficulties with contingent liabilities), projects become larger (creating significant potential exposure for the country's balance sheet) and countries themselves are downgraded, a problem which is particularly acute for countries with economies heavily dependent on globally traded commodities such as oil. An escrow account to receive payments from (ideally a specified pool of customers) —only possible if receivables have not already been secured in favour of others; deposit mechanics need to be understood; potential restrictions on providing security on account of negative pledges (e.g., the World Bank Negative Pledge in the case of IBRD countries); there is often a reluctance to provide such arrangements as to syphon off reliable customer payment revenue streams can further compound the credit problems of the offtaker. A standby letter of credit confirmed by an acceptable bank — however, given the financial position of offtakers, there will frequently be a need to cash collateralise all or a significant part of any such bank security, and this is clearly not attractive for offtakers. Provision of liquid support by state-owned offtakers is an inherently inefficient use of capital and often can result in additional hard currency pressure in situations where foreign currency is not freely available. In addition to government support, it has become increasingly common for private investors and lenders to look for guarantees from multilaterals to mitigate their exposure to a project. Guarantees can be structured in many different ways. The World Bank, for instance, has moved away from offering a specified list of project-based guarantee structures (partial credit or partial risk) and has instead started differentiating project-based guarantees by the nature of the risks that they cover. Payment guarantees. These cover government payment defaults in respect of amounts due to private sector investors where these payment obligations require credit support and enhancement. These payment obligations can include recurring tariff payments under a power purchase agreement, termination payments, etc. These guarantees will require a counter-guarantee or indemnity from the relevant government. This creates a direct contractual link with the relevant country relating to the project, but presents an added layer of interaction with the government, and finalising the suite of documents required can have significant time implications. Fees are also payable in connection with this product. The World Bank is not the only potential source of such guarantees. The African Development Bank also runs a guarantee program similar to the World Bank and other multilaterals, and DFIs are also considering similar initiatives. Political risk insurance is available from a broad range of non-private underwriters. For instance, the Multilateral Investment Guarantee Agency (MIGA) provides coverage against currency inconvertibility and transfer restrictions, expropriation, war and civil disturbance, as well as breach of contract. Additionally, MIGA can also offer some credit enhancement by providing cover in respect of 'non-honouring of sovereign financial obligations by a host government'2 and 'nonhonouring of financial obligations by state-owned enterprises or public authorities of the host country'. The IMF has developed a framework which recommends that countries record certain contingent liabilities in the country's balance sheet. Contingent liabilities are liabilities whose timing and amount are contingent on the occurrence of a particular discrete/uncertain future event or series of future events. These include certain explicit contingent liabilities (such as guarantees and indemnities which are commitments to accept the risk of loss or damage another party might suffer) and implicit contingent liabilities (such as ensuring the solvency of the banking sector and net obligations of future social security benefits). The IMF recognises that some of the most significant fiscal costs for countries have in fact arisen from contingent liabilities3. The IMF factors the existence and extent of contingent liabilities into its Debt Sustainability Analysis (DSA). DSAs are important for the IMF's assessment of a country's long-term fiscal policy, macroeconomic status and debt stability. As a result, IMF-supported programs are now heavily dependent on the outcomes of DSAs and are an integral factor in determining access to IMF financing. Moreover, the IMF actively encourages other creditors to take the results of DSAs into account in their respective lending decisions. Hence, DSAs have become popular among lenders and donors to decide the form and amount of financing that is sustainable to the particular country in question4. As a result of this and a generally increased focus on balance sheet and debt stock management, many sub-Saharan African countries are increasingly reluctant to create contingent liabilities on their balance sheets by offering government guarantees or similar government support. MIGA is not the only source of multilateral political risk insurance. The Africa Trade Insurance Agency (ATI) offers a political risk product which also deals with key risks including payment default cover. Certain countries have also established bodies to specifically provide political risk insurance to their nationals. For instance, the United States established the Overseas Private Investment Corporation (OPIC) which offers a broad range of political risk mitigation products to those who can establish a US nexus. Japan has established the Nippon Export and Investment Insurance Agency (NEXI) which offers PRI policies and political risk mitigation products to Japanese entities. Political risk insurance is also available from private insurance companies. In theory, free of eligibility requirements, private political risk insurance is available for a broader range of projects and risks and can be 'tailored' to the project and risk appetite of the insured — albeit at different costs. However, practical concerns mean that private political risk insurance is not as commonly seen as is public political risk insurance. In part, this is because of the perception (and sometimes fact) that private political risk insurance is expensive when contrasted with public political risk insurance and usually offers tenors significantly less than the usual term of a power purchase agreement, for example. In part this is also because the very existence of private political risk cover is required to be kept confidential as an actual condition of coverage. Export Credit Agencies (ECAs) are increasingly providing (and now recognised as key providers of) critical capital and credit enhancement for the financing of capital-intensive projects globally and in Africa in particular. ECAs can provide direct and indirect assistance, with direct assistance either relying on commercial banks to provide funding or the ECA lending directly. Where commercial banks are involved, often the ECA will provide support through a guarantee or insurance policy, and this has the effect of mitigating risks associated with borrower default for commercial lenders. ECA involvement has a material bearing not just on the kind of documentation required, but also on the dynamics of the negotiations. Although in certain cases of indirect assistance, ECAs are less involved (since they are not party to the loan documentation), in the majority of cases, ECAs will become involved with negotiations in a meaningful manner, notwithstanding the kind of support being provided. ECAs also generally require strict compliance with their policies, and this can be challenging for borrowers and commercial lenders alike since not all ECAs have policies and procedures which are publicly available. Multilaterals and DFIs such as the International Finance Corporation and AfDB also play a key role in mitigating risk and maintaining stability. Apart from providing financing, their involvement is viewed as having the effect of mitigating risk by deterring governments and government-owned entities from defaulting given the potential impact that this may have on the much broader relationship that these institutions have outside of the affected project in question. The suggestion is that poor behaviour on a project in which these institutions are involved could have a direct impact (through crossdefault and withdrawal of funding) on other projects. 1. "World Bank Group Guarantee Products: Guidance Note." (April 2016). 2. "MIGA's Non-Honouring of Sovereign Financial Obligations Product." MIGA Brief (March 2012). Multilateral Guarantee Agency (July 2017). 3. "Public Sector." IMF (2011). 4. "Debt Sustainability Framework for Low-Income Countries." The Joint World Bank – International Monetary Fund (n.d.). 5. July 14 2016, Charles Mwaniki "IMF Warns Kenya of Sh313bn Undisclosed Debt Risk." Business Daily. 6. "South Africa Budget Review – Government debt and contingent liabilities". Multilateral Investment Guarantee Agency World Bank Group. 7. MIGA's Contract of Guarantees (March 2011): World Bank Group. 8. "Operational Policies: MIGA." (January 2015): World Bank Group: Multilateral Investment Guarantee Agency. 9. Investment Guarantee Guide (July 2015): n. Multilateral Investment Guarantee Agency World Bank Group.